Posted April 15, 2015 by Kat Keane & filed under Blog. 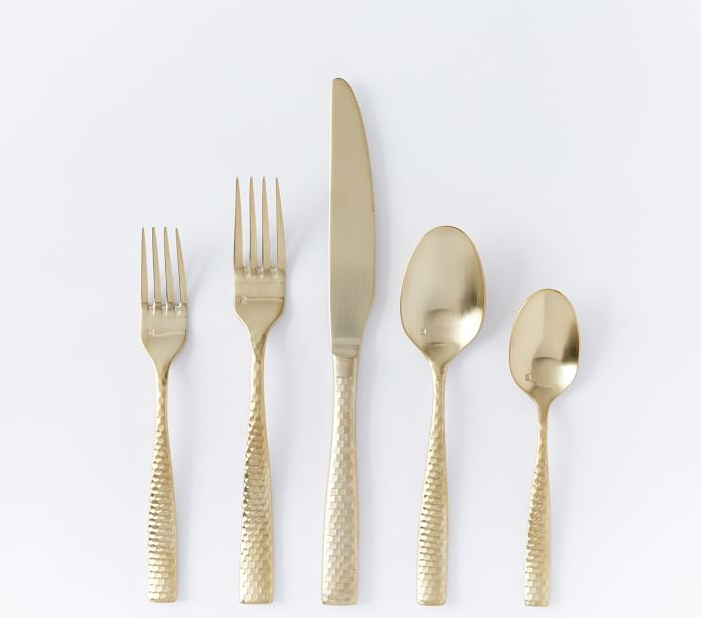 Thank goodness gold flatware has made a wonderful return! 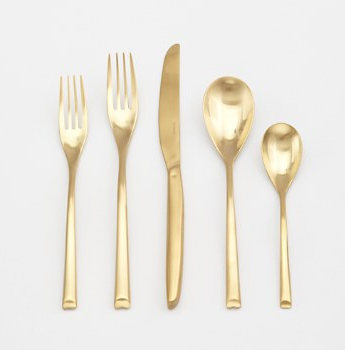 Due to the beautiful design work, more than ever gold flatware is getting the attention is deserves. 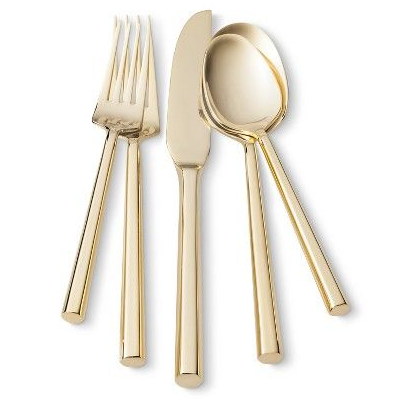 From weddings to cozy kitchens, with an array of styles from vintage and modern to bamboo and beveled, there is plenty of tastes to be satisfied. Equally so, there is also a wide variety of pricing for this table tinsel. As a Los Angeles wedding planner the desire for fresh looks and ideas are always on the up. Table design is a very important part of achieving a fresh and elegant look. 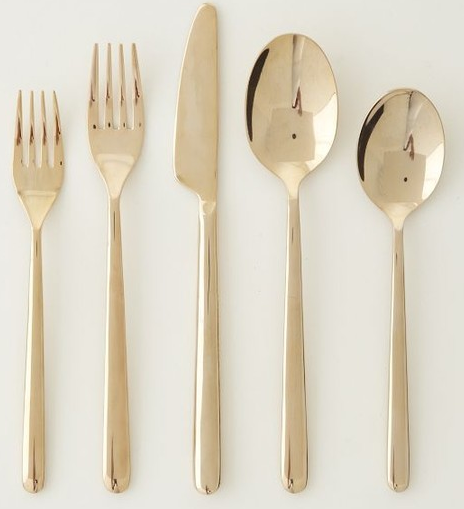 Here are a few options of the gold flatware to drool over.